COMPANY PROFILE Adobe Systems Inc offers a line of software and services for content creation and the measurement of digital advertising and marketing. Its software applications includes Photoshop and Lightroom, Adobe Analytics, Media Optimizer and Campaign Manager. 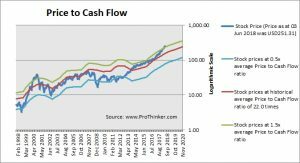 At the price of USD251.31 as at 03 Jun 2018, Adobe Systems Inc is trading at a Price to Cash Flow Ratio of 35.8 times last 12 months cash flow. 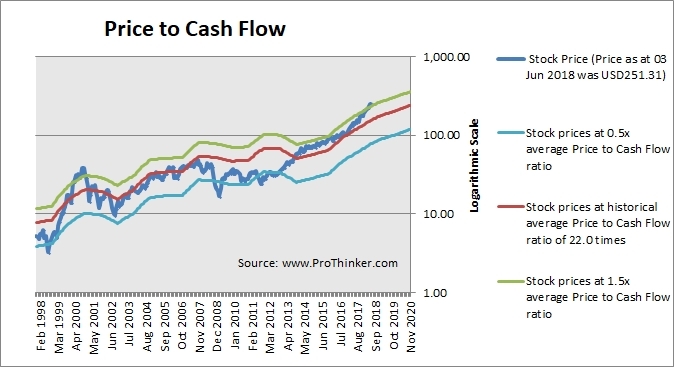 This is a 63.0% premium to its historical average Price to Cash Flow Ratio of 22.0 times.